Outstanding effect on stage, or just FUN for drumming on any object such as on a book, the floor or even your lap! 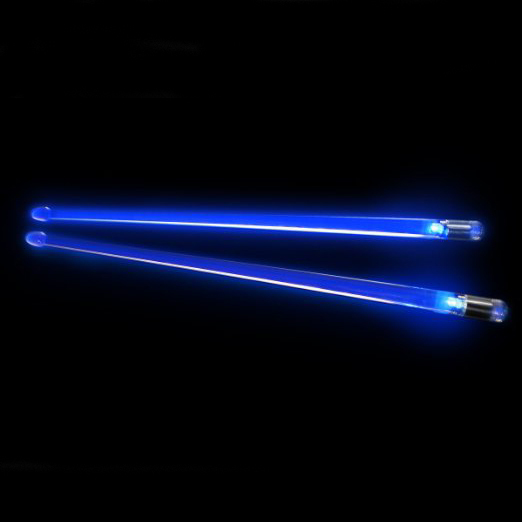 These "pro quality" light up drumsticks are one of the hottest thing on the music scene. When the sticks strike a drum head or any object, they light up and create a brilliant and dramatic light show.